There are only two studies that study the effect of raised feeders on the risk of Gastric Dilatation Volvulus (GDV) and their findings conflict. 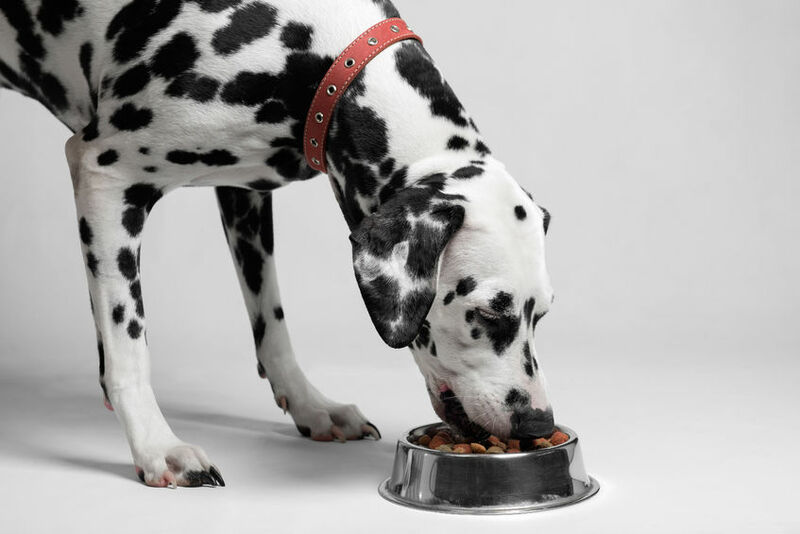 Only one study found a significant effect of feeder height, with large and giant breeds fed from a raised feeder being at an increased risk of GDV floor fed dogs. However, these authors found that, where the feeder was raised, the height of the feeder that increased the GDV risk was affected by the size of the dog. Large breed dogs were more likely to develop a GDV if fed from a bowl ≤ 1 foot tall, whereas giant breed dogs were more likely to develop a GDV if fed from a bowl > 1 foot tall. No studies found that feeding from a raised feeder reduced the risk of GDV relative to feeding from the floor. Therefore, the safest option in the absence of further evidence is to advise that owners of ‘at risk’ dogs feed from a feeder on the floor. This may not reduce the risk of GDV, but there is no evidence to suggest that it will increase the risk.